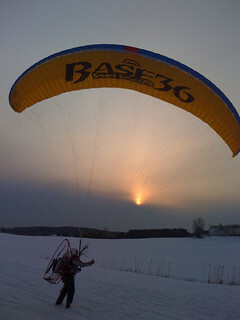 When I first became a part of the Base36 staff, I wondered why the company was called Base36. I made the connection that Base36 is a technical alphanumeric system, and that we’re a tech company and all, but I didn’t quite understand the significance of our name. I’m not the only one. Prospective technical consultants often ask us, “Why Base36? Why is that the name of your company?” As a result of these questions, we figured it’s worthy of a blog post explanation. Ready for a history lesson? Before I can explain the importance of Base36, you have to understand what it is. Base36 is a compact alphanumeric system. In a radix, or base (N), the number of digits in the base is equal to the number (N). What do I mean? For example, in binary N = 2, the digits are 0 and 1. This is the case for all bases with a value of 10 and under. What happens when you get to bases with a size greater than 10? The digits run out, and the letters kick in. The missing digits come from the alphabet. Therefore if N = 11, then the digits in use are 0,1,2,3,4,5,6,7,8,9,A. Base36 uses all of the digits, 0-9, and all of the letters of the alphabet, A-Z. With this system, every word is a number. Pretty nifty, huh? Mike Sherwood, Base36 Founder & Managing Director, worked on one of the first Base36 projects at the U.S. Department of Justice. In 2002, he brought a team of 4 technologists to Washington D.C. to work on a COBOL-to-Java integration project. Their goal was to bring a web application front end to a long-standing COBOL application. There were a few constraints on this project, one of which included the inability to change the data model. This caused some obvious problems. Fortunately, Mike realized that they could synchronize a particular issue if they overloaded a database field with a timestamp. He found the particular database field, but the timestamp was too large. He then tried converting the timestamp to hex, which was also too big, so he switched over to Base36. It fit perfectly with this alphanumeric system! The problem was solved. Everyone was happy. When Mike started his IT staffing & technical consulting firm, he wracked his brain for a name. He thought back to his Department of Justice experience, and realized that Base36 would be the perfect solution to his naming issues, just as it had been with the Department of Justice programming. Why, you ask? 1) Mike’s Department of Justice experience proved just how much he enjoyed assembling teams of passionate technologists who could complete exceptional feats. Since the experience was the inspiration for his company, why not name the firm after the solution that brought this to light? 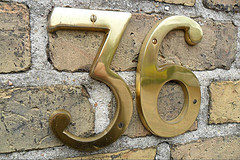 2) Mike liked the fact that the geekiest of geeks would understand what Base36 is. With some thought, he knew they would understand what is so special about Base36, the alphanumeric system. If they got it, Mike knew he wanted them for his company. 3) With Base36, all of the numbers are words and all of the words are numbers. With this, the name felt holistic. 4) From a practical standpoint, it’s short, sweet, and easy to remember. And we’re all about practicality here at Base36, Inc. So that’s it folks. That’s how we got the name Base36. Our founder solved a technical issue using Base36, and realized that Base36 could solve other technical issues as well. And that’s what we’re doing after all these years – still looking to be the smart solution to your IT staffing & technical consulting needs. Have you had an experience similar to Mike’s, with a tricky situation and a simplistic but unobvious solution? Let us know about it in the comments section, or join the conversation on Facebook, Twitter, or LinkedIn! Thanks to mueritz and kencochrane for the use of their respective photographs.